We want to make the Internet better for everyone. Purging bad ads is a good start. The free browser extension for Firefox and Chrome allows defining filters that determine what a website is permitted to load, as well as provide a way to collapse unwanted sections of a web page (element hiding). 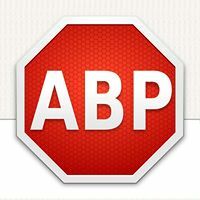 People who don’t have the knowledge or the time to create their own filters can choose from over fifty existing subscriptions that have been prepared by members of the Adblock Plus community and are constantly being updated. This entry was posted in Miscellaneous and tagged Adblock Plus, Want to Get Rid of those Annoying Ads?. Bookmark the permalink.